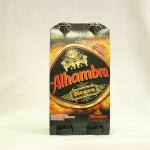 Cervezas Alhambra as founded in 1925. 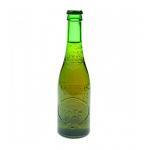 In 1995 he joins the shareholders of La Cruz del Campo. 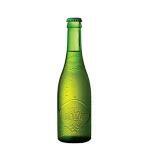 Now is a brand of pale lager owned and produced by Mahou-San Miguel since 2007. 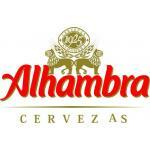 At Cervezas Alhambra they have put in place strict quality-control criteria. 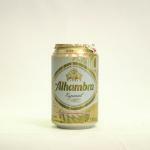 Great care goes into selecting the raw materials used: Beer malts of proven quality, the hops varieties that give the best structure of bitterness and aroma, a specific type of yeast that makes the fermentation process more reliable and thus ensures the consistency of the beer's characteristics, and water of excellent quality. 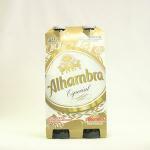 TASTING NOTES: - Appearance: The Special Alhambra has a bright golden colour. 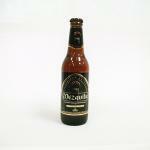 - Aroma: Smell intense malt and hops. 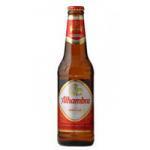 - Body / Taste: Very pleasant to the palate, leaving a bitter taste in the end. FERMENTATION TYPE: Low fermentation. 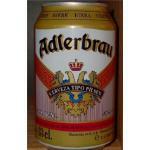 ABV: 5.4% Vol "